05 Sep 2018 --- Wholegrains – from rye and oats to wheat – can prevent Type 2 diabetes, particularly when consumption levels are high, according to Danish researchers. Previous studies have flagged wholegrain’s potential in Type 2 diabetes prevention but did not identify the role of different wholegrain sources, as well as the quantities needed to reduce the diabetes risk. The Danish study included 55,000 participants and spanned 15 years. 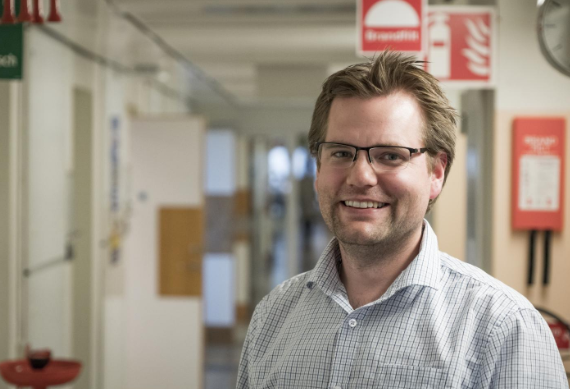 “Most studies similar to ours have previously been conducted in the US, where people mainly get their wholegrain from wheat,” says Rikard Landberg, Professor in Food and Health at Chalmers University of Technology and the study’s senior researcher. The study was conducted in Denmark, where there is a big variation in wholegrain-intake. The Chalmers University of Technology in Sweden and the Danish Cancer Society Research Center findings showed that it makes no difference which type of wholegrain product or cereal is consumed. Rye bread, oatmeal and muesli, for example, seem to offer the same protection against Type 2 diabetes. Regarding the amount of wholegrains eaten, the proportion of participants who developed Type 2 diabetes was lowest in the group which reported the highest wholegrain consumption and increased for each group which had eaten less wholegrain. In the group with the highest wholegrain intake, the diabetes risk was 34 percent lower for men, and 22 percent lower for women, than in the group with the lowest wholegrain intake. If you compare wholegrains' role in the risk of developing Type 2 diabetes against other foods that have been investigated in other studies, it is one of the most effective ways to reduce the risk when it comes to diet, according to the researchers. Drinking coffee and avoiding red meat are other factors that can similarly reduce the risk of Type 2 diabetes. 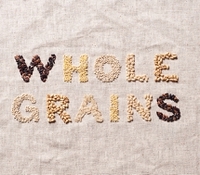 Wholegrains are defined as consisting of all three main components of the grain kernel: endosperm, germ and bran. Those who avoid all cereals, in an attempt to follow a low carb diet, therefore lose out on the positive health effects of wholegrain, which come principally from the bran and the germ. Landberg thinks that cereals, and carbohydrates in general, should not be avoided in diet. “Carbohydrates are a very varied group of foodstuffs, including sugar, starch and fiber. We should discuss these more individually, and not throw them together in one group, because they have totally different effects on our physiology and health. When it comes to wholegrains, the research results are clear: among the many studies which have been made, in varied groups of people around the world, there hasn't been a single study which has shown negative health effects,” he concludes.